We're here to help you comply. 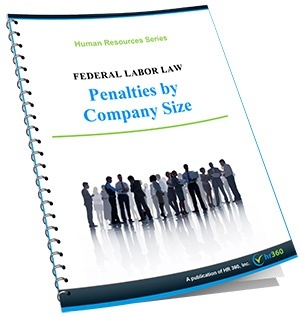 Our Labor Law and Penalties by Company Size Chart alerts you to the penalties that may apply depending on number of employees, in such key areas as COBRA, "Pay or Play," and a range of federal labor laws. By downloading our easy-to-understand chart, you'll be focusing on avoiding penalties that could seriously impact your business.